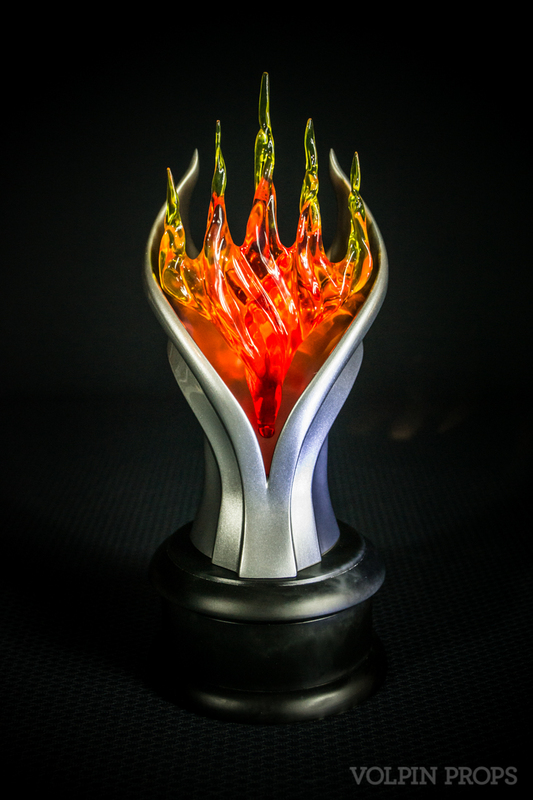 For their first ever custom Planeswalker tournament awards, Wizards of the Coast came to us and asked for something unique to Magic: The Gathering. 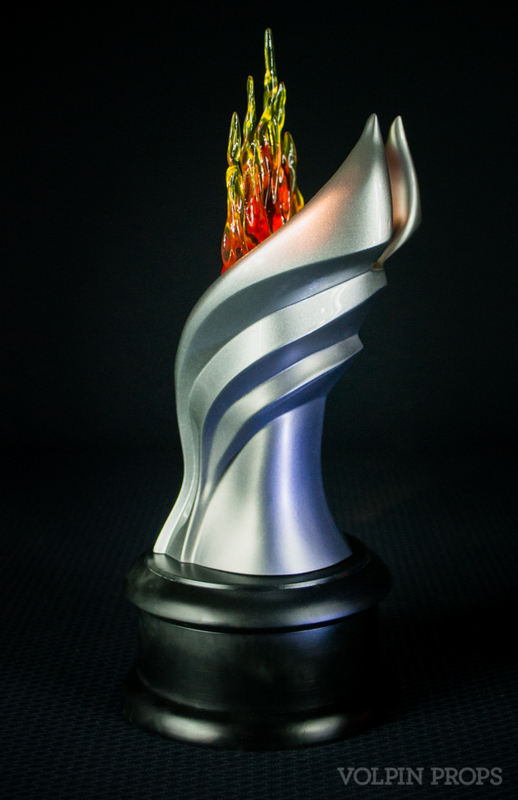 Eleven total awards were created for the 2016 season, with two grand prize trophies created, four finalist awards, four runner up, and one regional award. 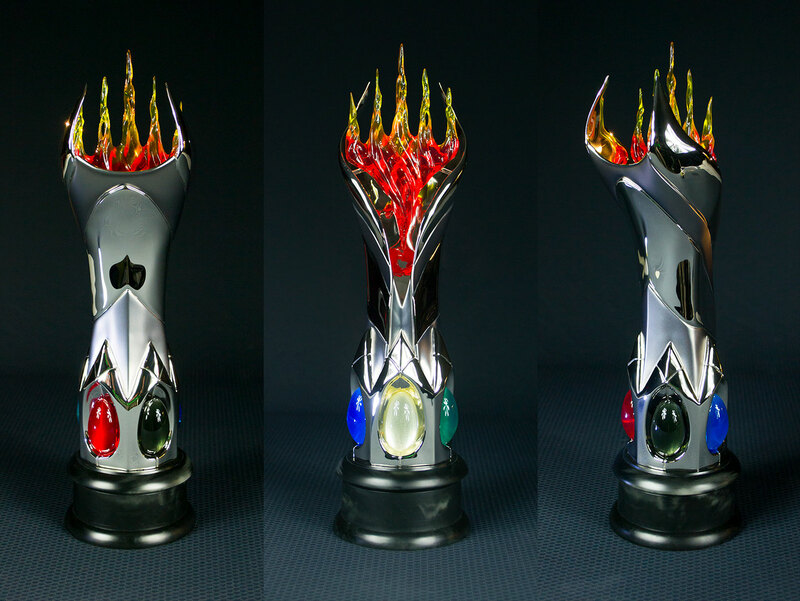 Nicholas Fair created the concept for these pieces, which you can read about here. 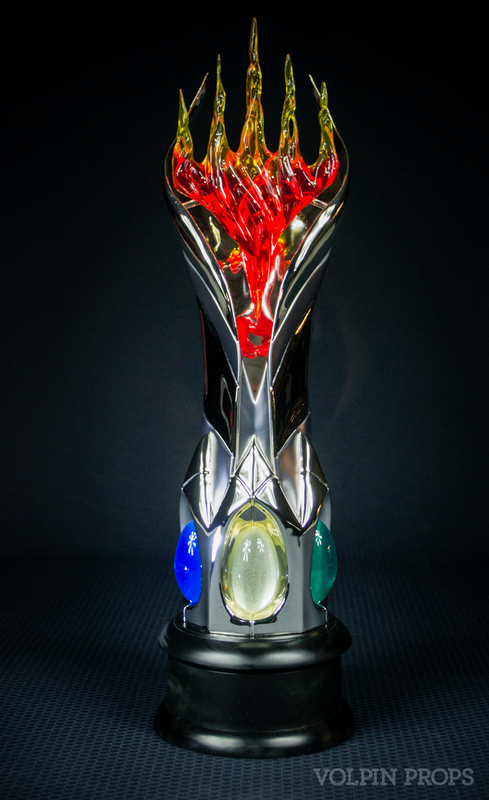 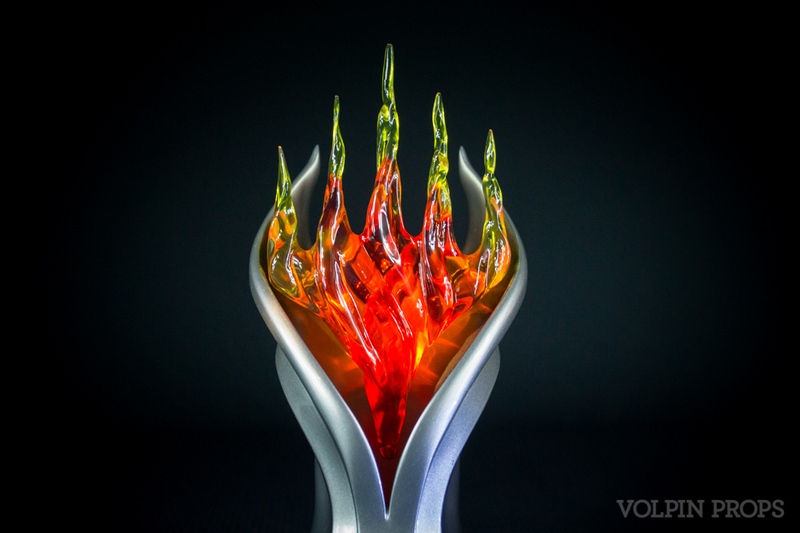 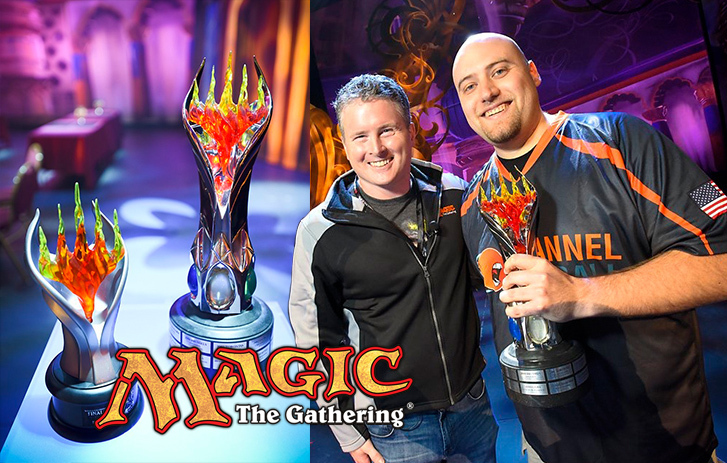 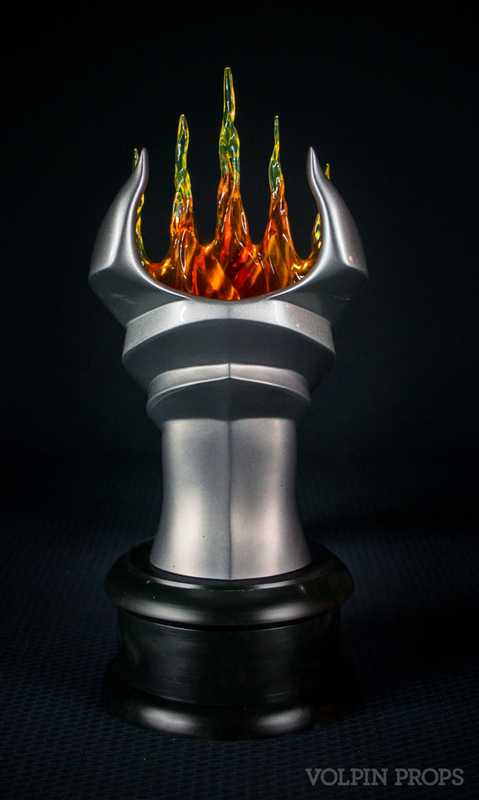 The Grand Prize awards reflect the symbols of mana in the game as well as the large fiery Planeswalker logo. 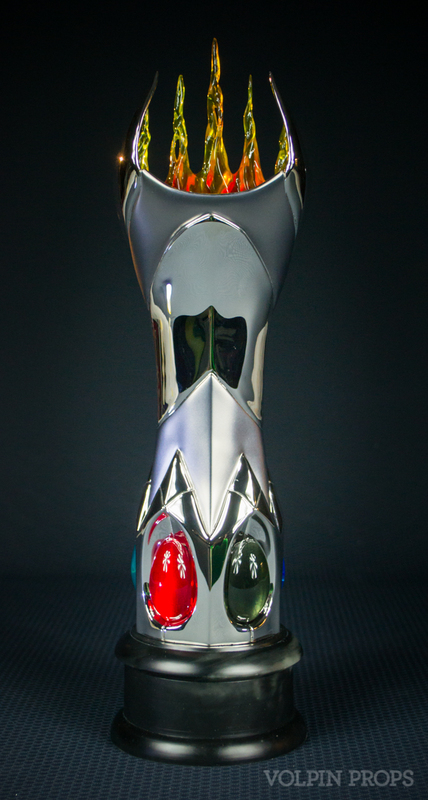 Chrome rhodium plating makes the reflective and clear elements in the grand prize trophy really stand out, and adds a lot of heft to the finished parts. 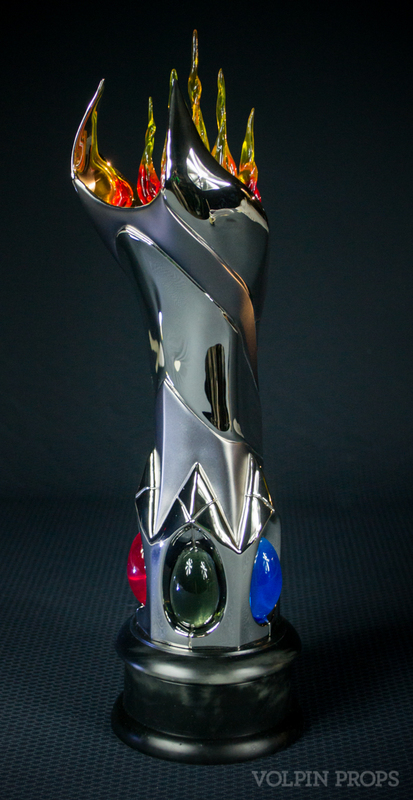 Pieces shown here are all urethane castings. 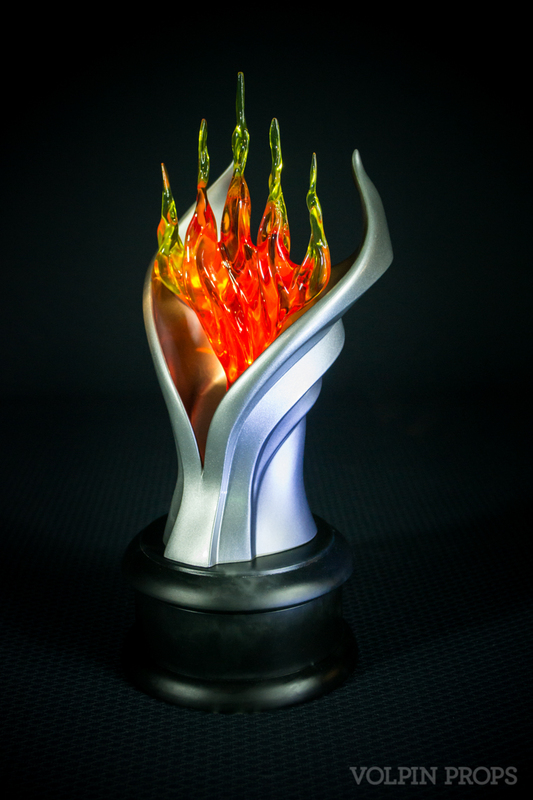 The Grand Prize award measures roughly 14″ tall and weighs about 8lbs. 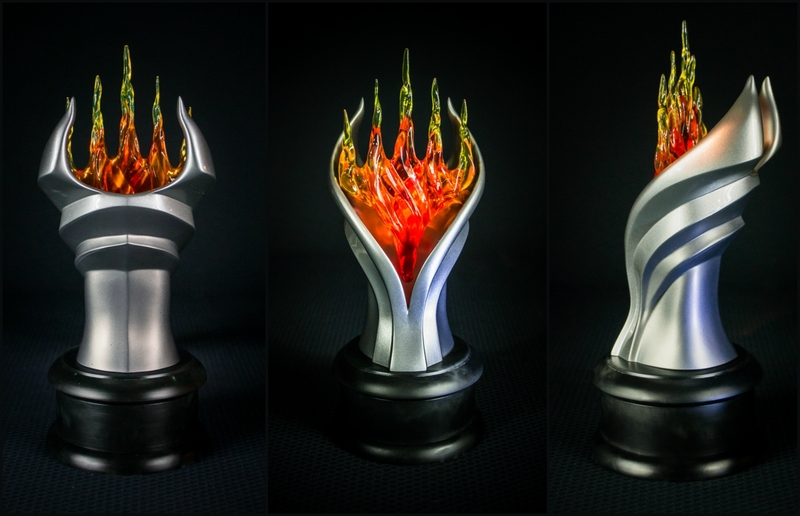 Smaller awards are 9″ tall and weigh 4lbs. 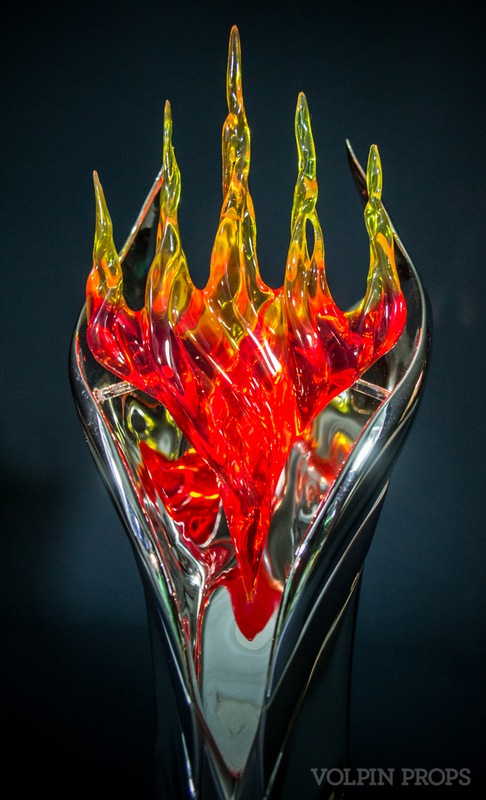 Look for even more of these to be created in the 2017 season!